“The Black Pageant” Illustration by Luke Spooner. 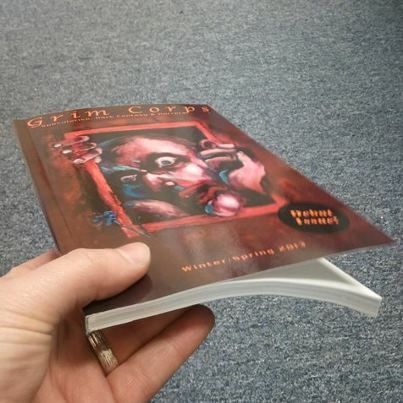 Grim Corps Issue 1 was officially released on my birthday, February 1st 2013. It is the first print publication that my work has appeared in, and I could not be happier with how it turned out. The entire process was fantastic. The editor in chief, Charles Brownson did a wonderful job communicating with me (and I’m sure with all the other authors as well) and provided very thoughtful and impressive edits to my story. I am absolutely thrilled to see my story represented in their debut issue. 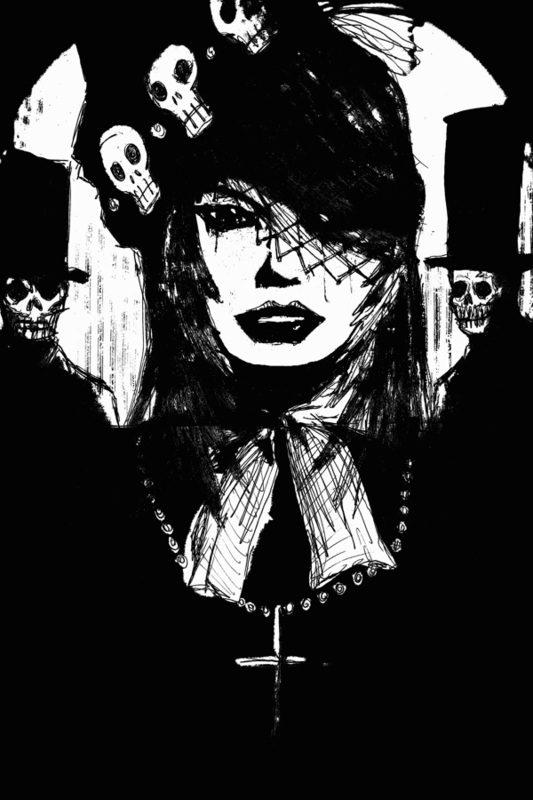 The image above is the amazing illustration that Luke Spooner provided for my story. I am in awe of the passionate horror he captured in his interpretation, and very honored to have such fine work associated with something I wrote. Check out the rest of his illustrations from the issue at his Behance page. In other news, my birthday was on Friday, February 1st. I’ve never been one to have big parties for my birthday, preferring instead to have a nice quiet dinner with my wife at a restaurant. This year, Nathalie surprised me with tickets to an Orioles game on Opening Weekend! Now that the Ravens season is done (THEY WON THE SUPER BOWL! ), I am very excited to get back into the swing of things with baseball. In terms of writing, here are some fun stats for those who like to see this sort of thing. Many of the rejections I’ve received so far are for stories I’ve submitted several times, and are at last due for some revisions and/or trunking for good. I plan on spending some time soon looking them over to see if I can make them work better before placing them back into my normal submission pile. Also, you’ll notice the math doesn’t add up with the acceptances. That is because two of the three were for stories I submitted in 2012. I doubt I’ll have that many at once the next time I put together stats. Thank you! It certainly does feel great to add a real book with my work in it to my bookshelf. And thank you for the advice, you are entirely right. I’ll be doing some rewrites, but I’ll resist trunking. None of them are near 24 rejections yet! I think I owe to the work, and myself, to keep trying.